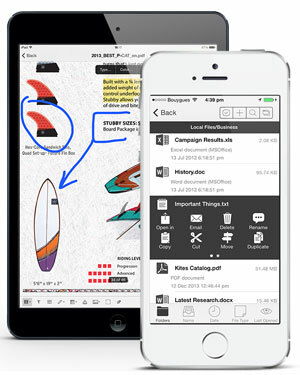 FileApp is an iPhone and iPad File System and Document Viewer. Get FileApp from the App Store and start importing files from your computer or other Apps. FileApp will let you use your iPhone or iPad as a document browser just like Windows Explorer or the Finder on the Mac. FileApp will store virtually any type of file, and numerous standards such as PDF or Microsoft Word, Excel & Powerpoint Office document formats can be opened and viewed on the device. 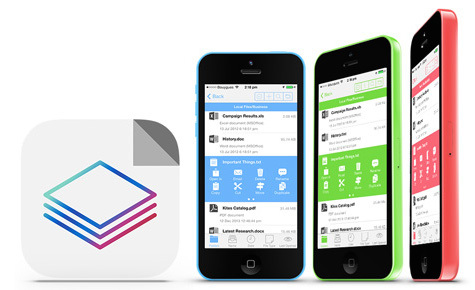 This App is designed to run on iPhone or iPod touch and iPad. FileApp Stores Files Transferred from any Computer via USB or Wi-Fi. FileApp's document folder is accessible by both a Wi-Fi network connection and a high-speed USB connection. 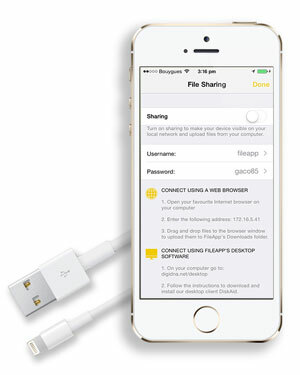 In the latter case, both iTunes File Sharing and our own iPhone file transfer software iMazing offers the ultimate in file sharing to and from FileApp. Thanks to the "Open In" feature we completely integrated to our App it can seamlessly accept any type of file from any other App, making it the preferred location for storage and further interaction. This makes FileApp a handy place to save email attachments and Safari downloads, as the files once saved in FileApp will remain available offline at all times! Conversely, any other App that is set to receive files from another App will be discovered by FileApp. FileApp is a Multimedia Player for Audio and Video Playback. FileApp will play any media file format supported by the iPhone natively. That's good for sound and video. 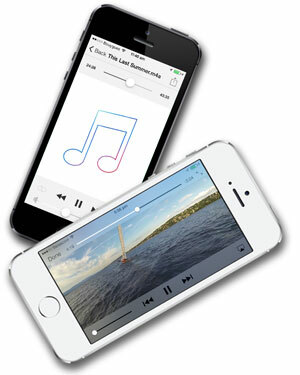 The music player allows the tunes to play in background. The video player allows continuous play and all media can be set to repeat the contents of a media folder! All media in FileApp can be further wirelessly streamed to any AirPlay compatible device, including video streaming with AppleTV.